Luxury Houses, The Tiny Version! 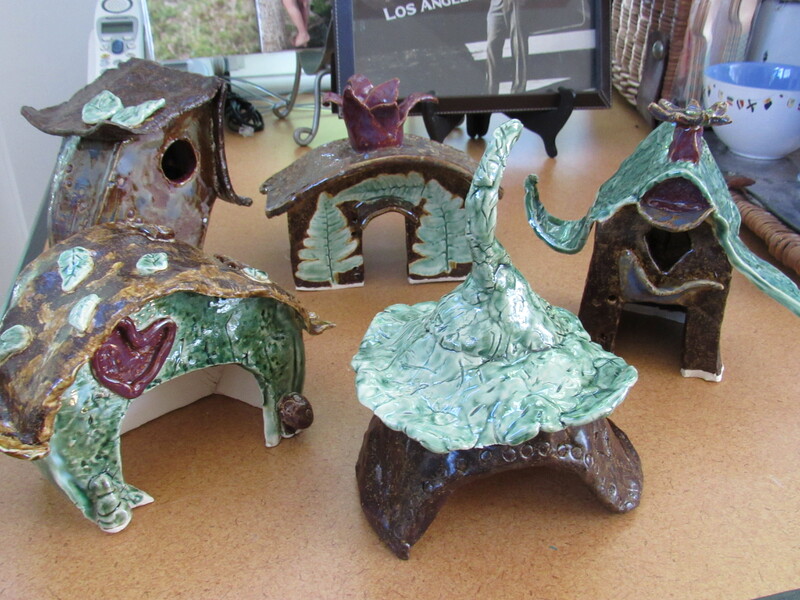 Here are the little clay dwellings that were made at our fairy house workshop. 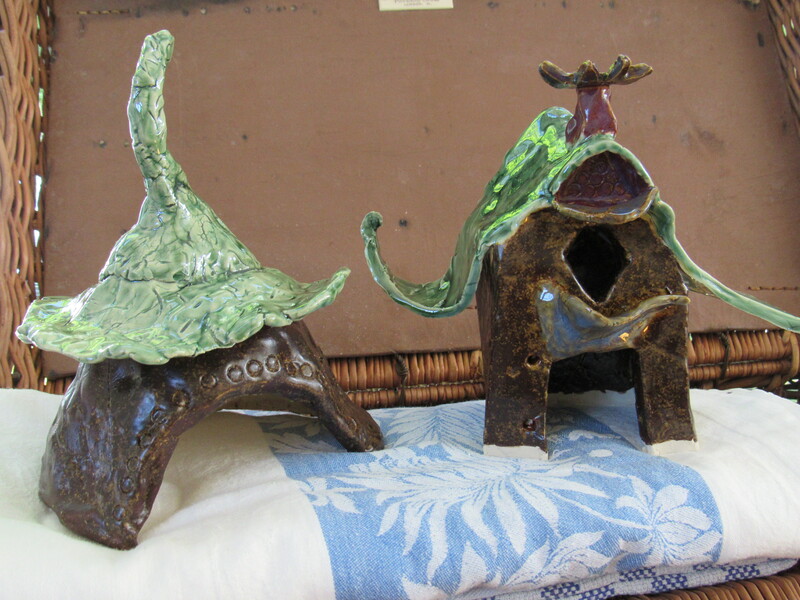 We took them from the kiln a few days ago. They are so adorable, each one!. 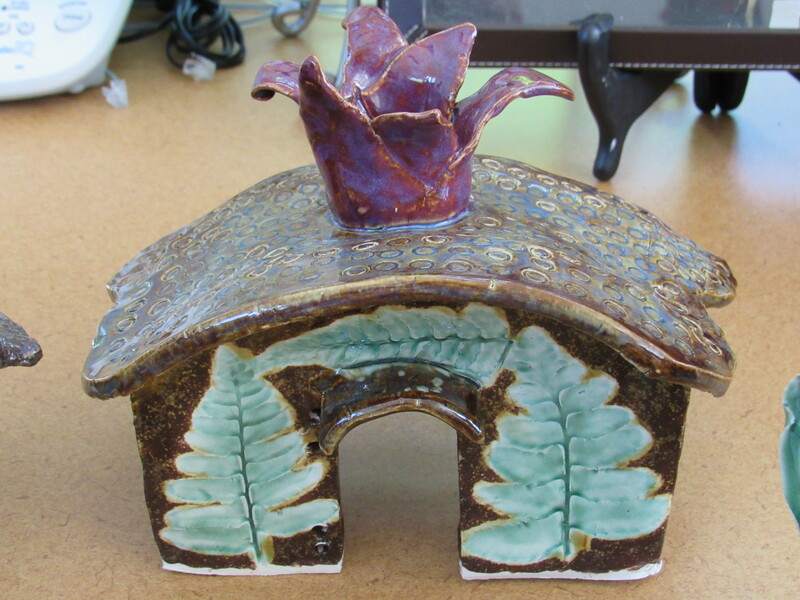 I am quite certain that any fairy, gnome, or traveling wood nymphs searching for a place to reside would love one of these handcrafted homes. We’ll be offering this class again in the spring. If you’d like to add a little whimsy to your garden next season, consider taking this class!